The Oasis Board of Directors conduct monthly meetings in accordance with our bylaws. These meetings are to consider routine and ongoing Oasis matters. Homeowners are welcome to attend. Meetings are held at the large conference room at the offices of Kinney Management Services. Our community representative from Kinney is in attendance as well. 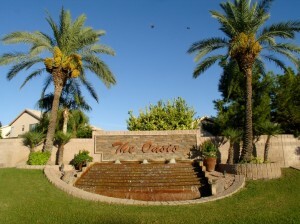 Annual meetings of the Homeowners’ Association are held in September at a Tempe location. Homeowners are highly encouraged to attend these meetings to understand a recap of the previous year as well as elect any new Board members. Even if you are not able to make monthly meetings we would highly encourage that you “Save the Date” for the September annual meeting. All Board meetings begin at 6:00PM on the 3rd Thursday of each month at Kinney Management Services.